3 year Blogoversary. January 1, 2014. Yep. That happened. Marissa Meyer back in town. Marissa will return to BookPeople in Austin to talk about Cress (from the Lunar Chronicles). If all goes well, I will be there and I'll get an autographed book. I'm excited because Ms. Meyer really is a great speaker. She's funny and she has these random facts that are interesting. Plus, last time there were cupcakes. I like cupcakes. I won my Fantasy Football Championship. Not that anybody cares. Since I mentioned it here, I figured I should give an update. New Meme. 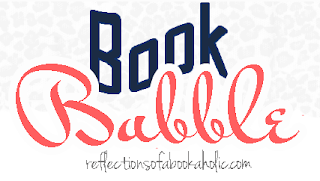 If you've been around here awhile, you might remember that I hosted a meme titled "Why I Love..." on Wednesdays where we discussed our book loves over particular topics. I retired the meme simply because it was becoming overwhelming. Now that I've taken a break, I'm ready to start a new meme called "Rewind Wednesdays." More about that to come. 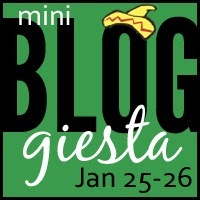 Mini Bloggiesta January 25-26. A mini bloggiesta is coming up and I'm joining. Last time I participated, I was very productive and I had a ton of fun. Who would have thought?! I guess I always have fun when I have the pleasure of meeting new supportive blogger friends. Seems like good time to jump in again. (Bloggiesta is an event where bloggers take the time to do work around their blog and talk about it with other bloggers as they go.) I'll be preparing my to-do list in the coming days. Woot woot! Congrats on the fantasy football! 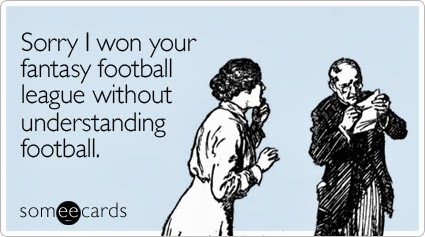 I am a huge football fan but have never done the fantasy football. Yeah I loved the "Why I love..." I was sorry to see it go. Looking forward to hearing more about your new one. Happy Belated Blogiversary!!! Looking forward to the new meme. love me some meme's. Yay on winning the league!!! and I'm intrigued by your meme! !